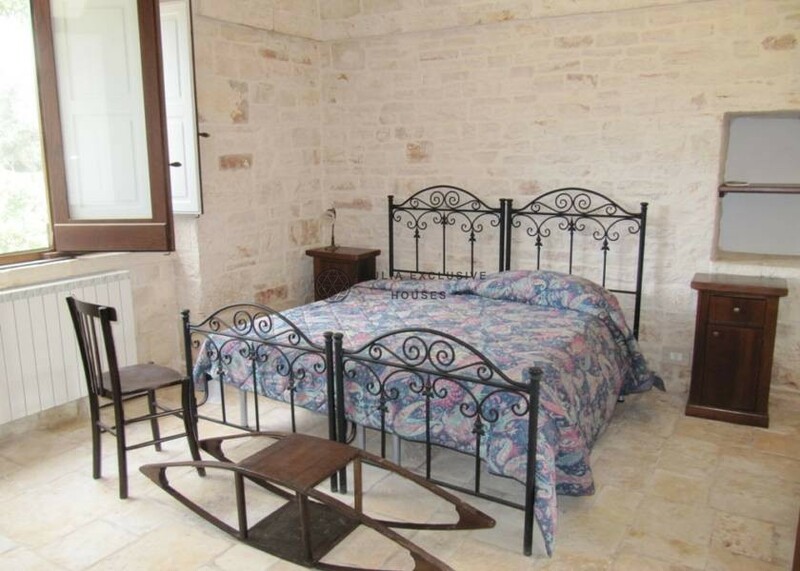 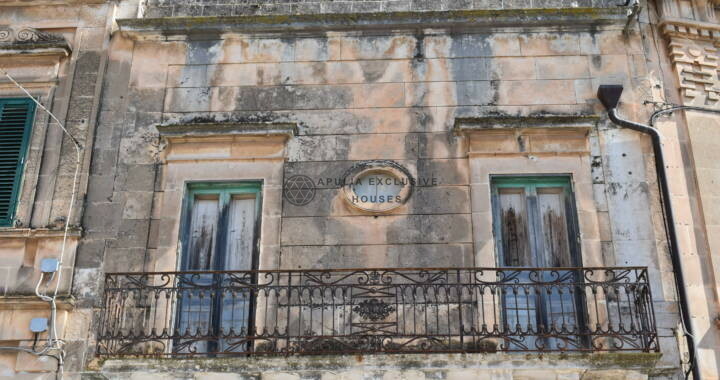 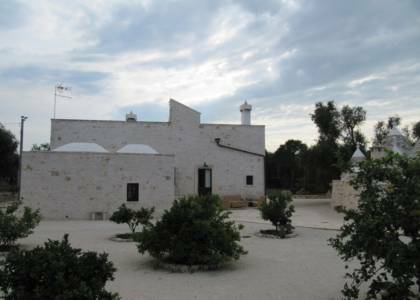 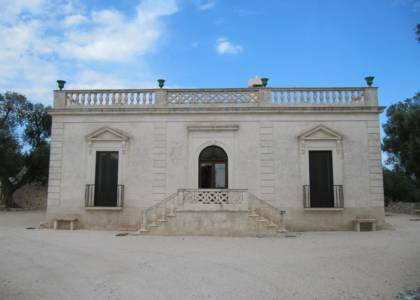 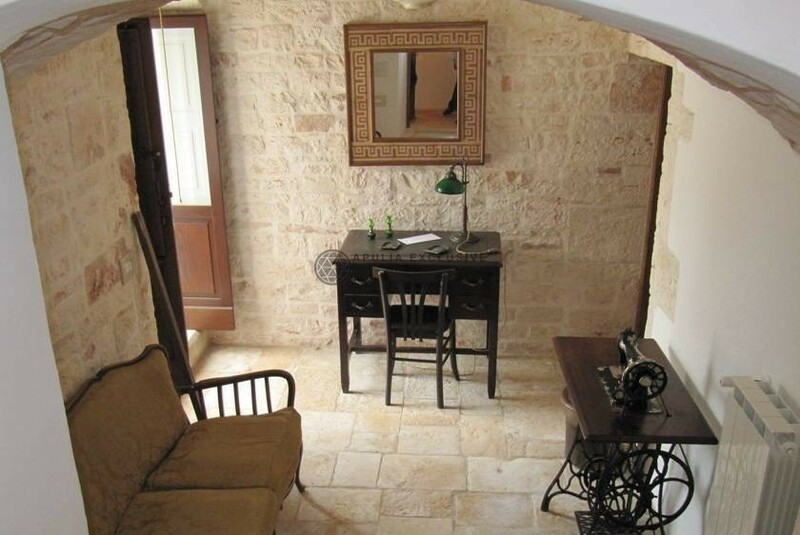 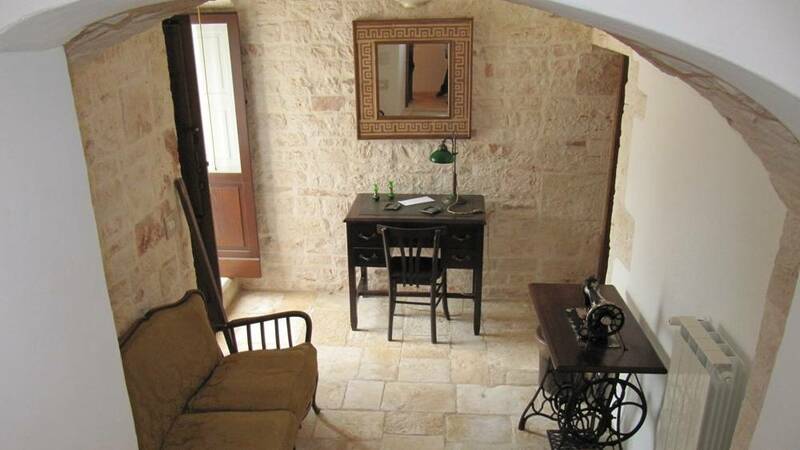 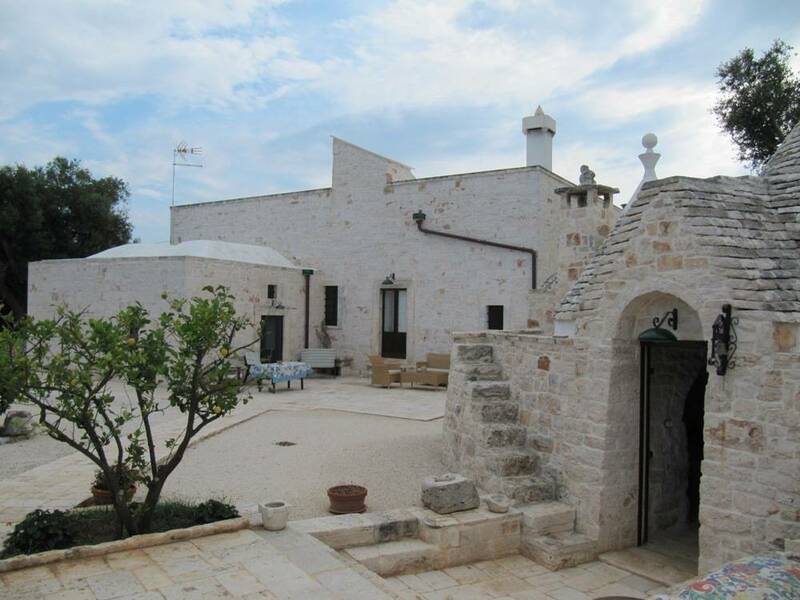 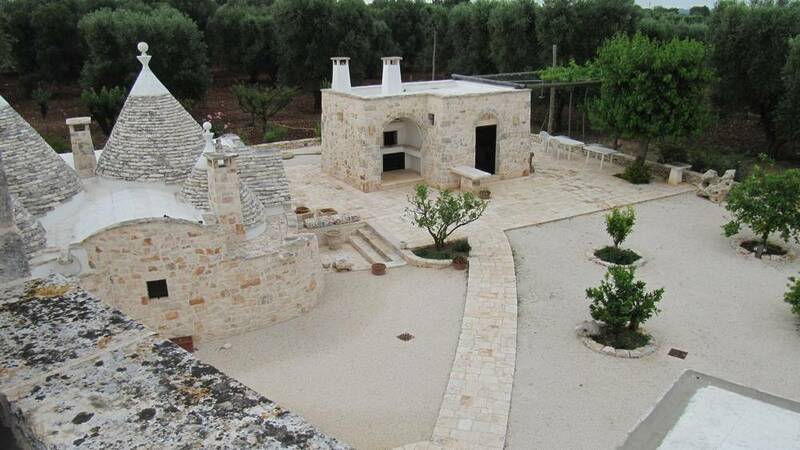 For sale in the countryside of Ostuni, the Manor House of 800 liberty style built entirely of stone. 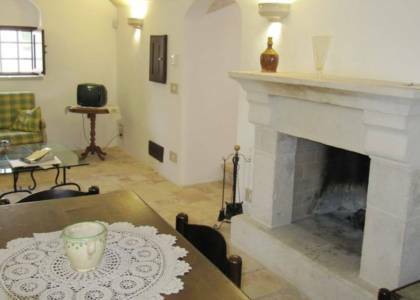 The villa is composed of living-dining room with fireplace, eat-in kitchen with cooktop height stone fireplace, dining room, three large bedrooms with vaulted ceilings and two bathrooms. 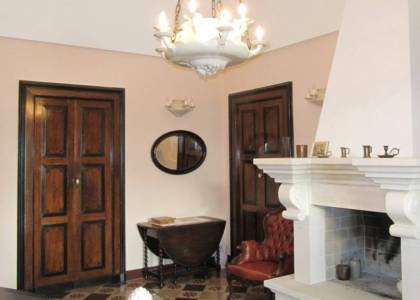 Doors, interior door handles and original flooring. 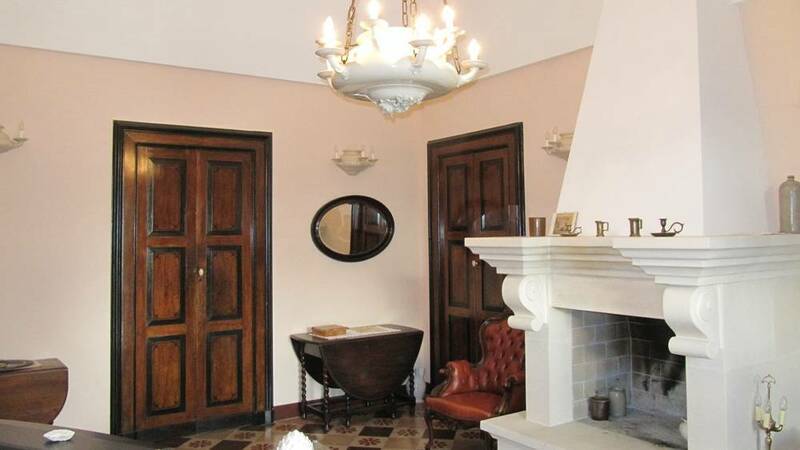 Chandeliers, sconces, tiles and outdoor lights specially reproduced by most important Potter of Grottaglie. 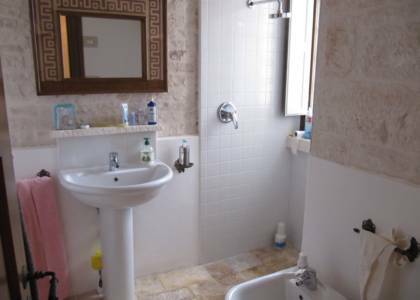 Natural gas heating, external lighting and alarm complete (bass/suffused-alto per day). 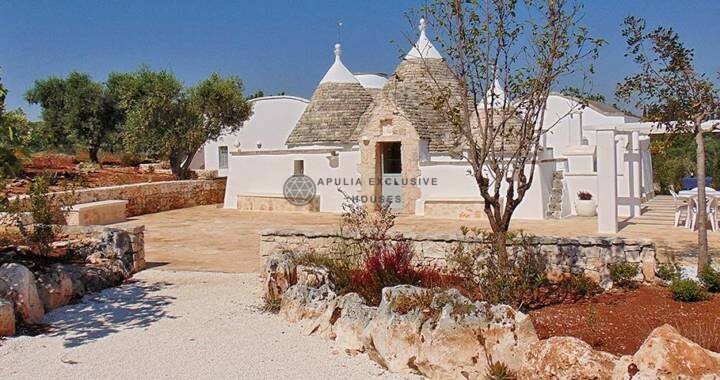 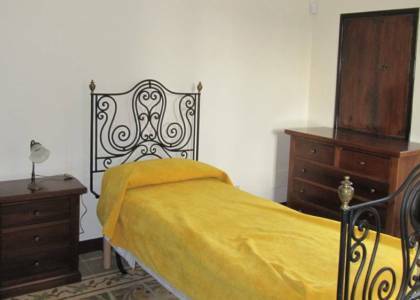 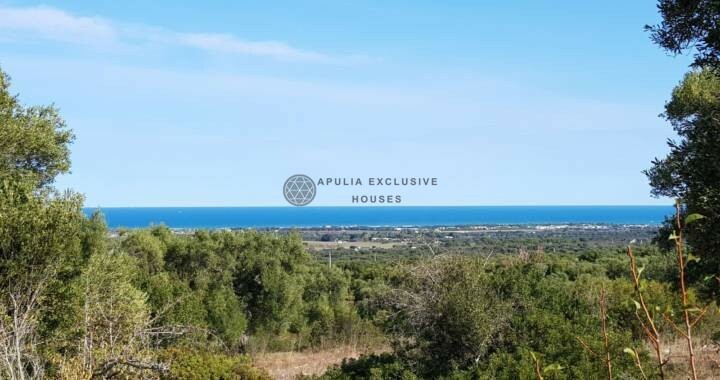 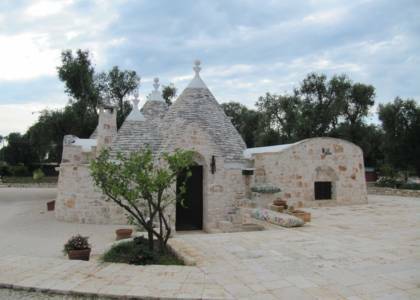 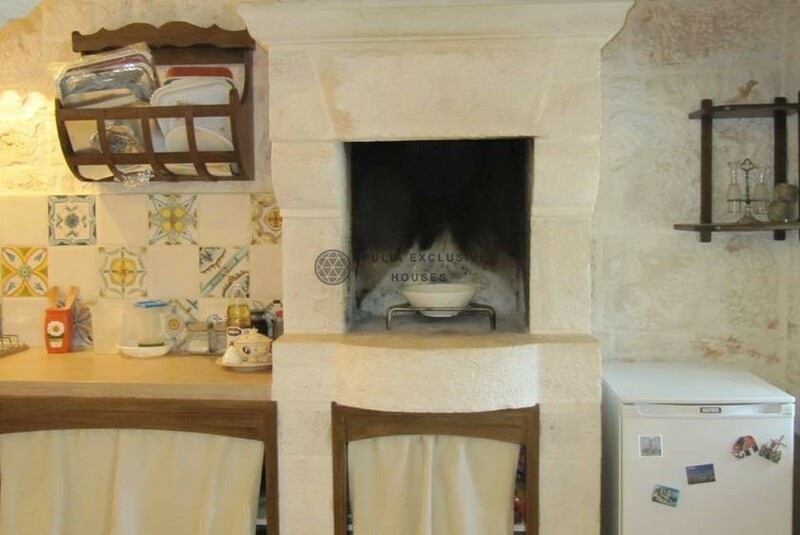 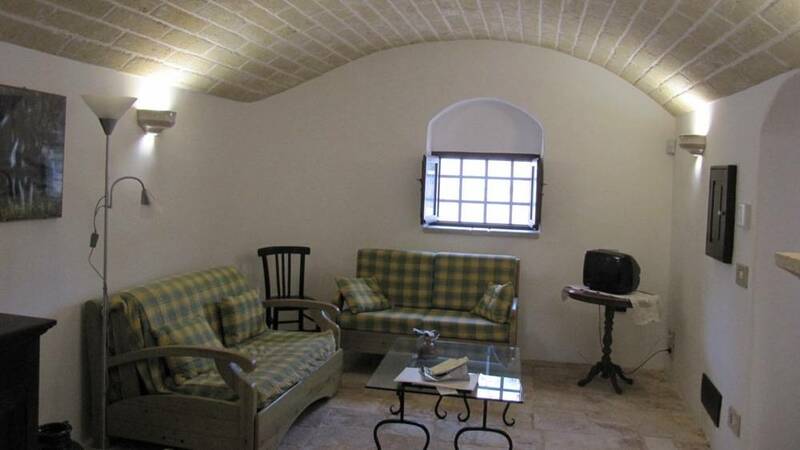 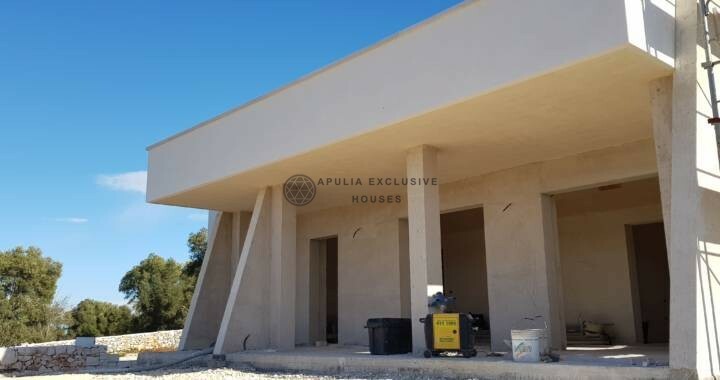 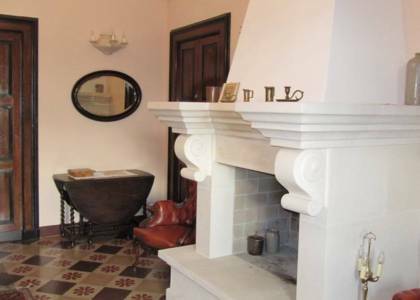 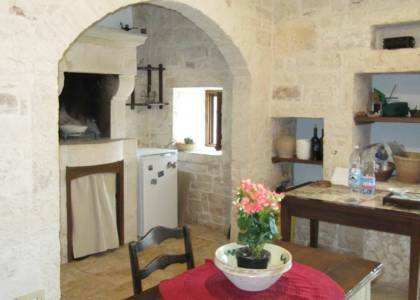 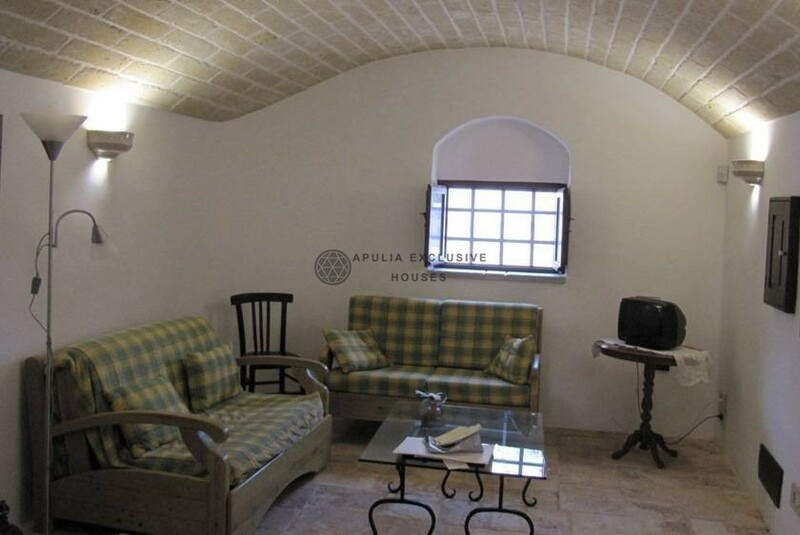 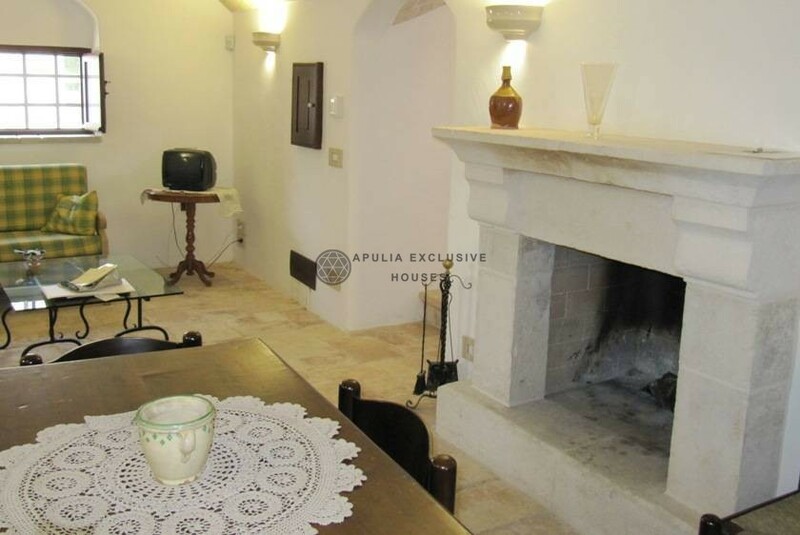 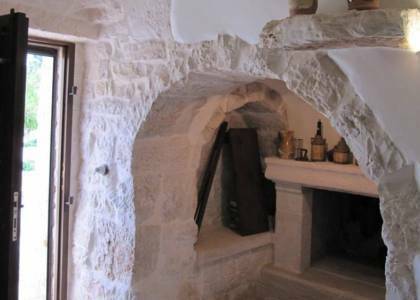 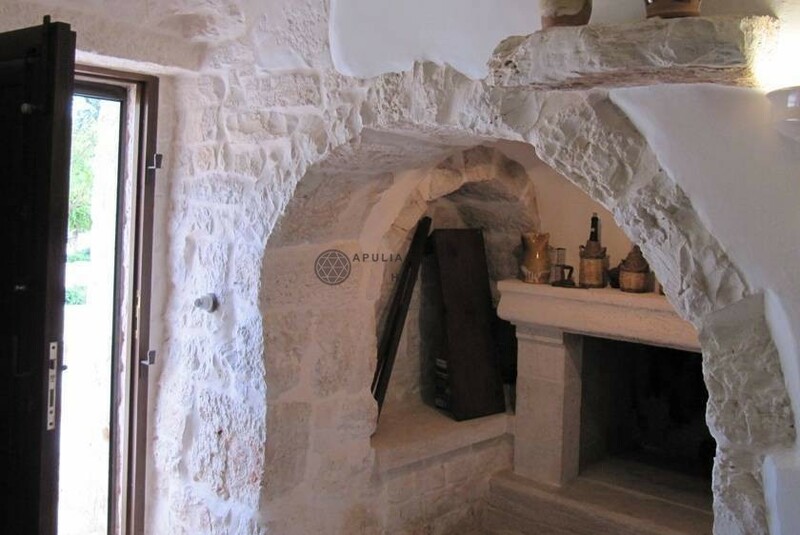 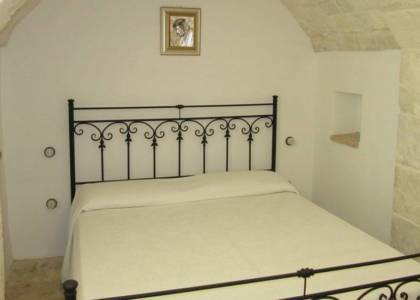 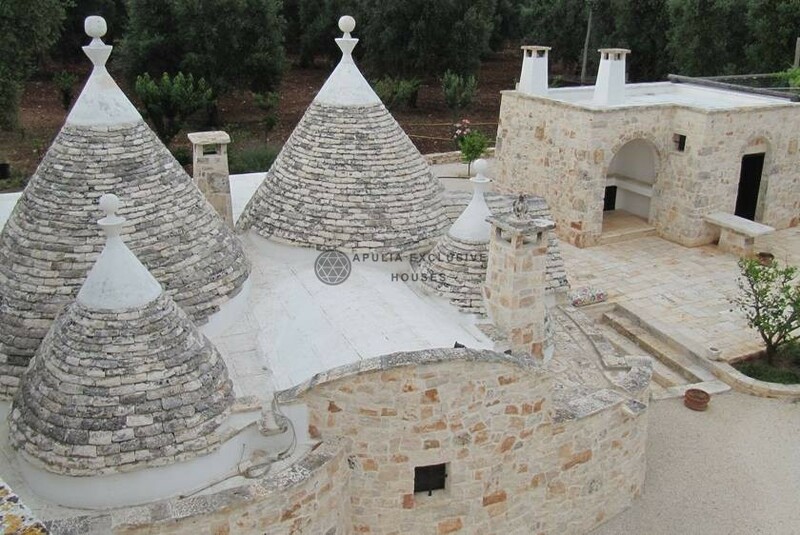 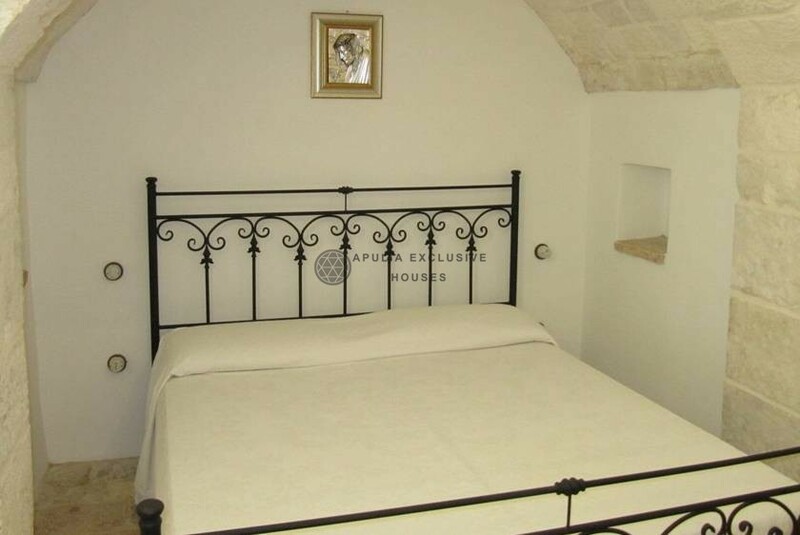 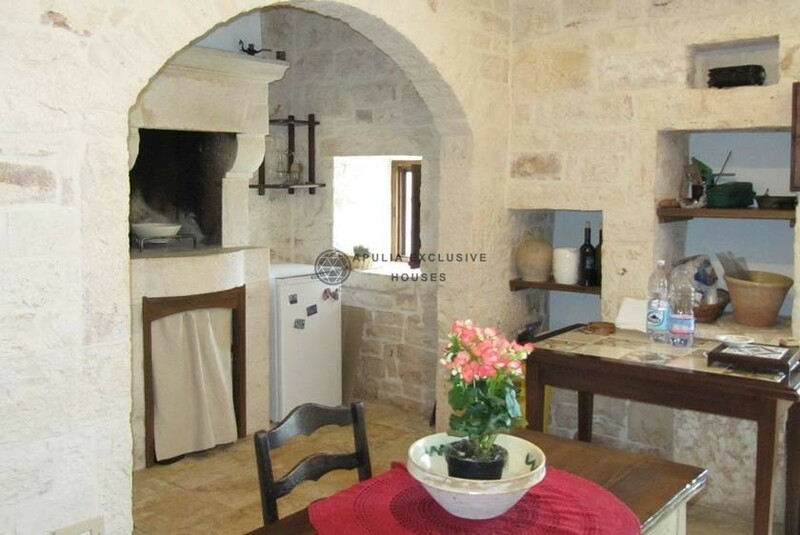 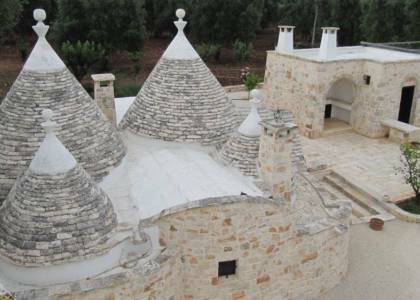 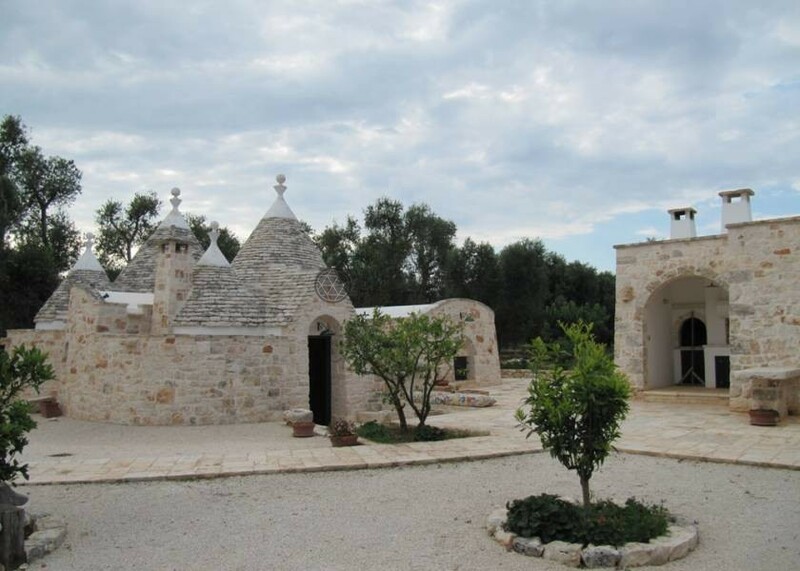 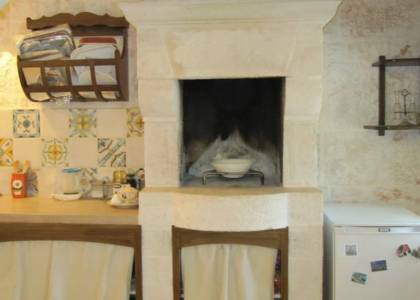 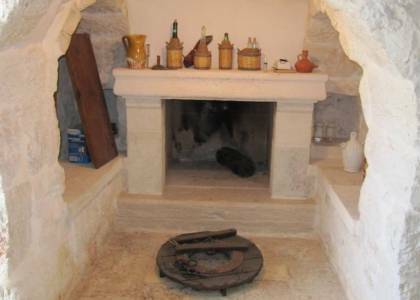 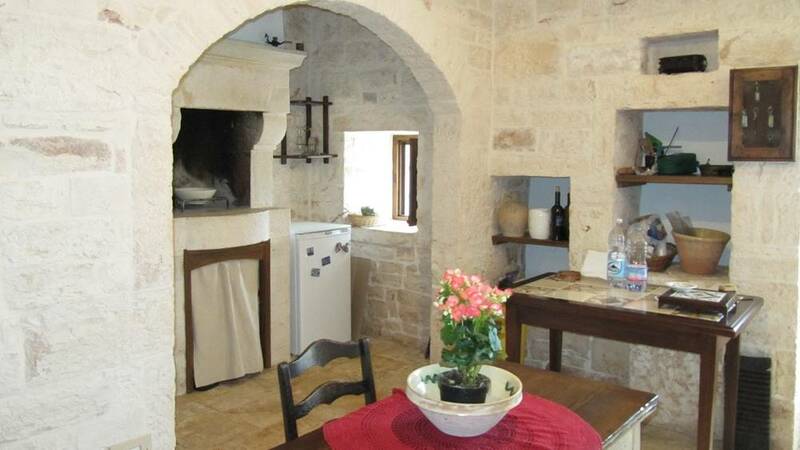 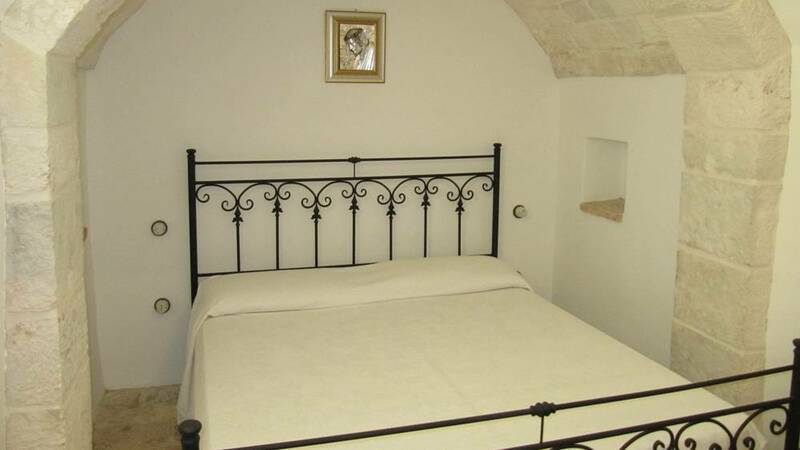 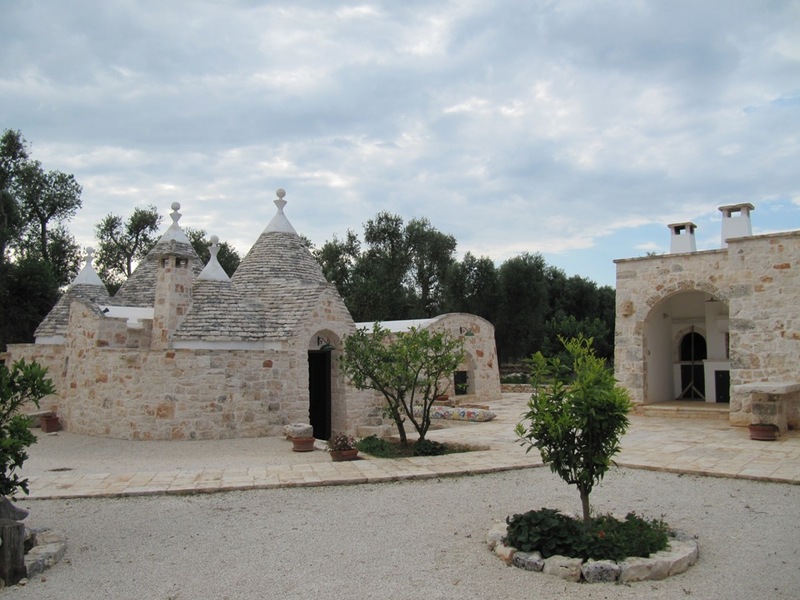 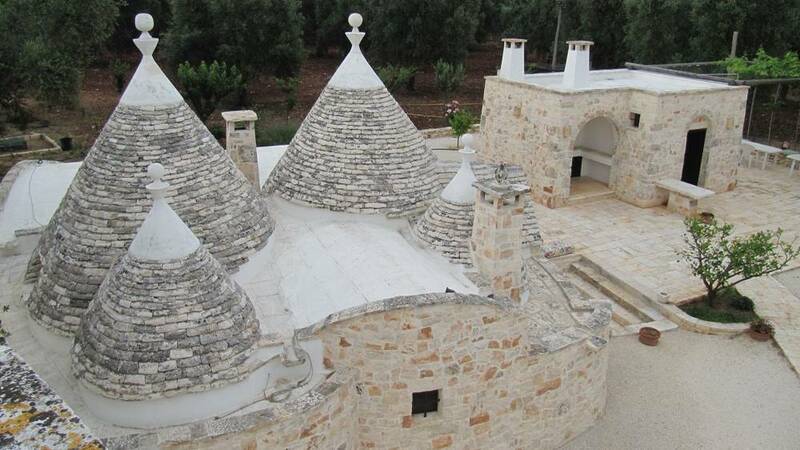 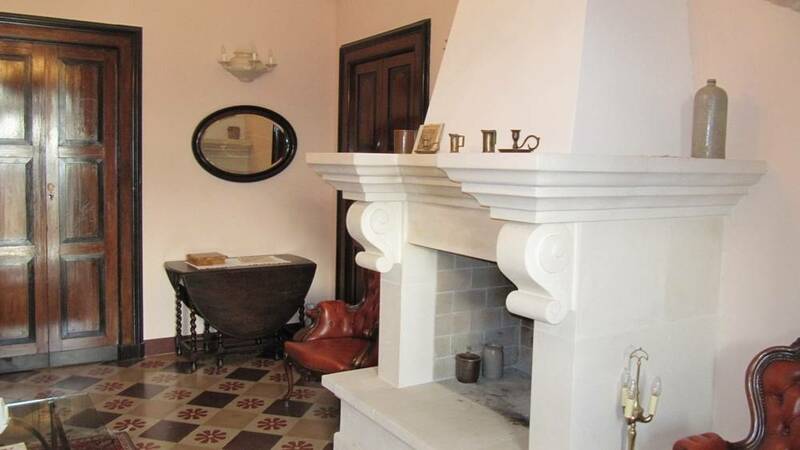 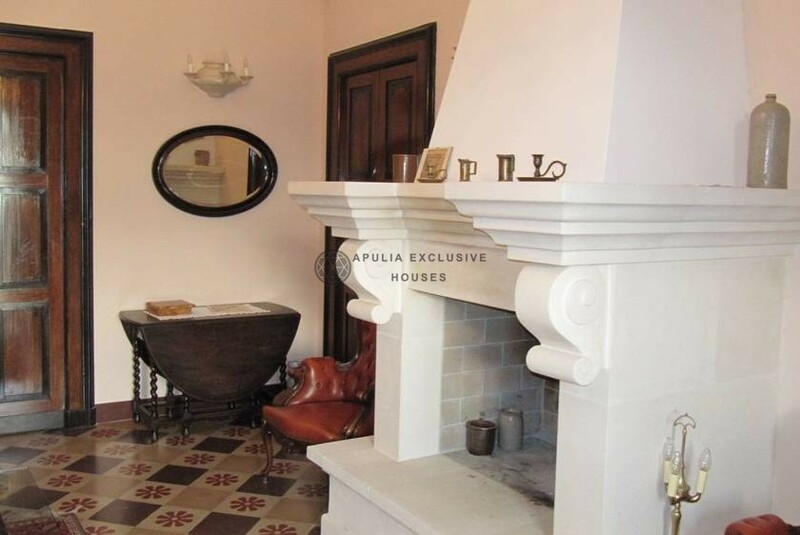 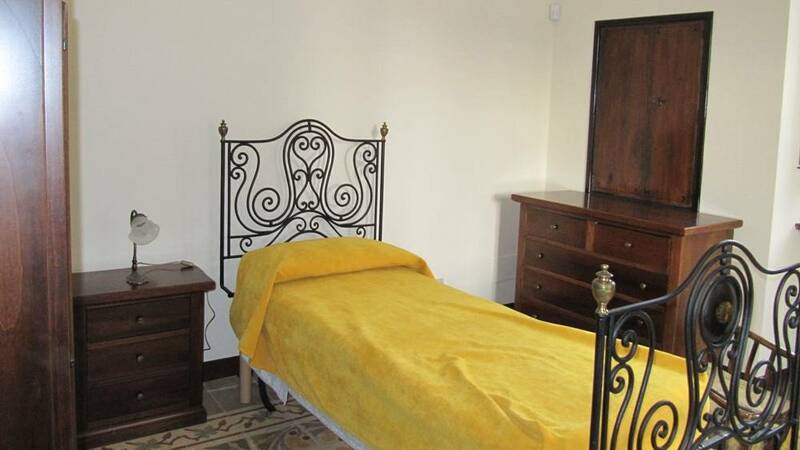 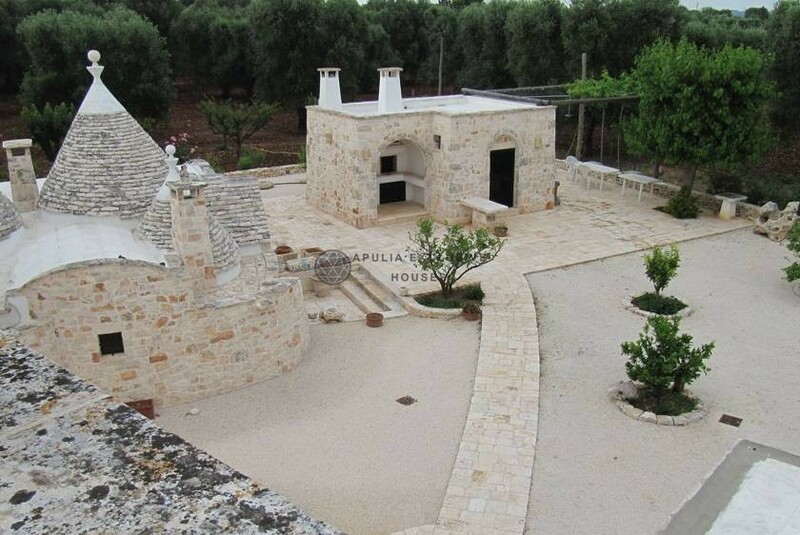 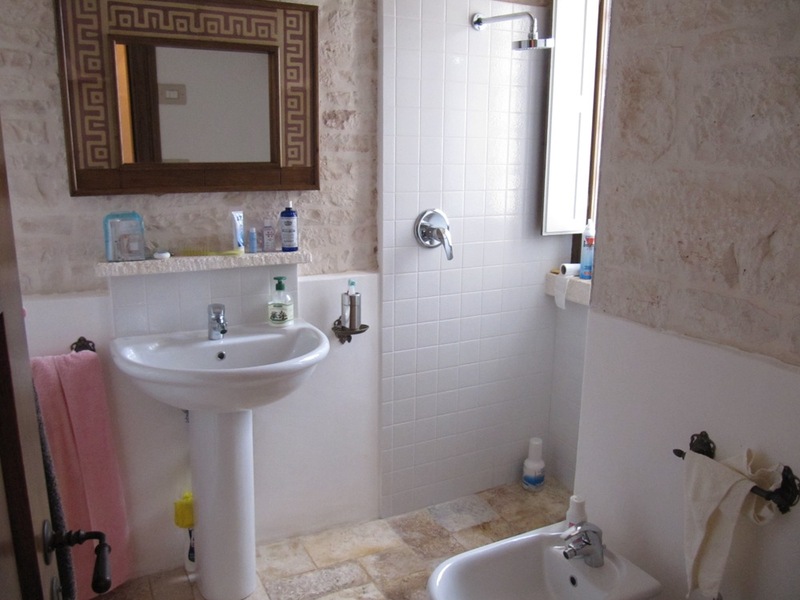 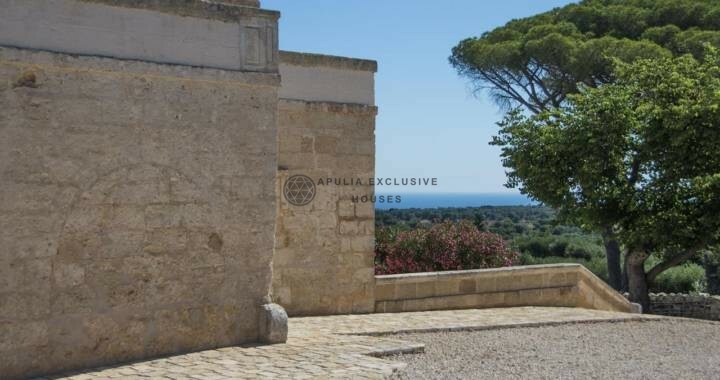 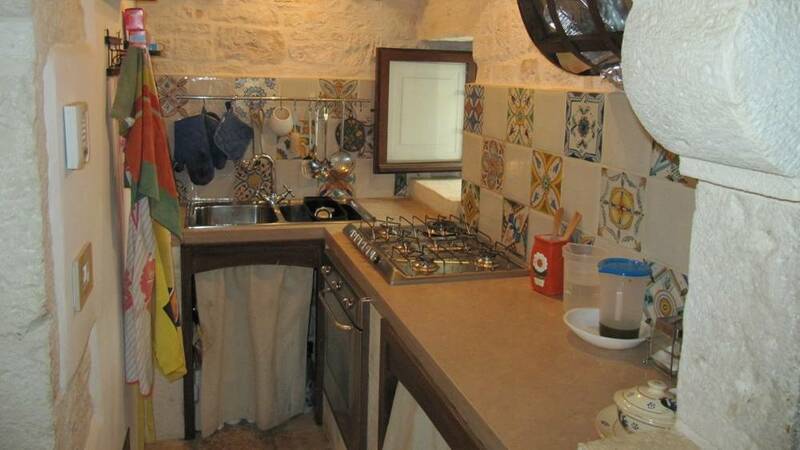 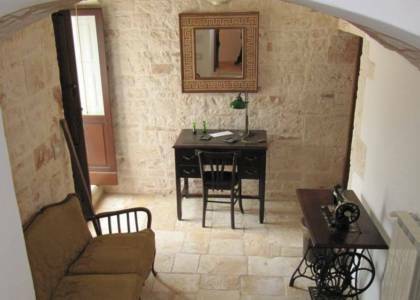 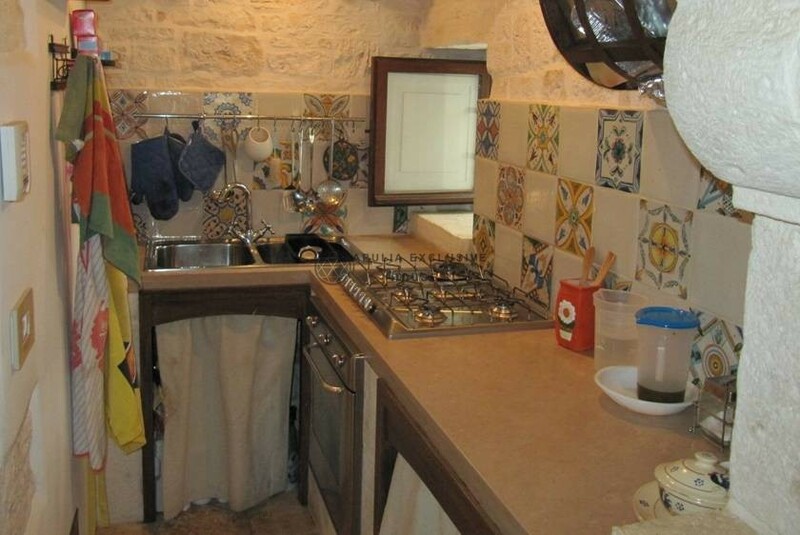 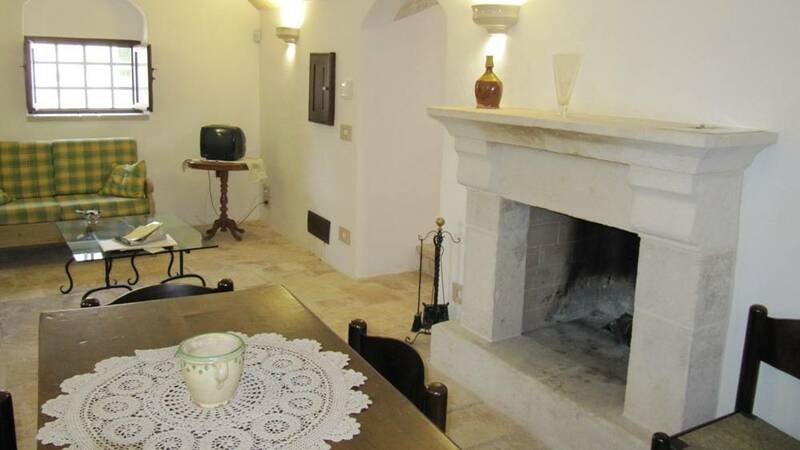 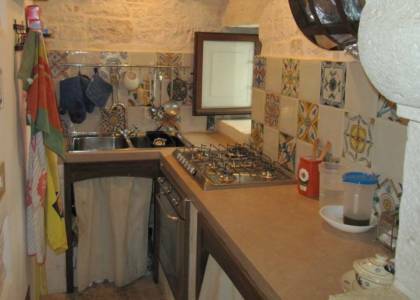 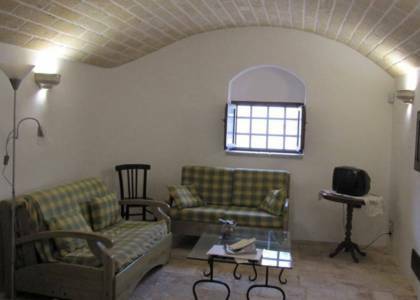 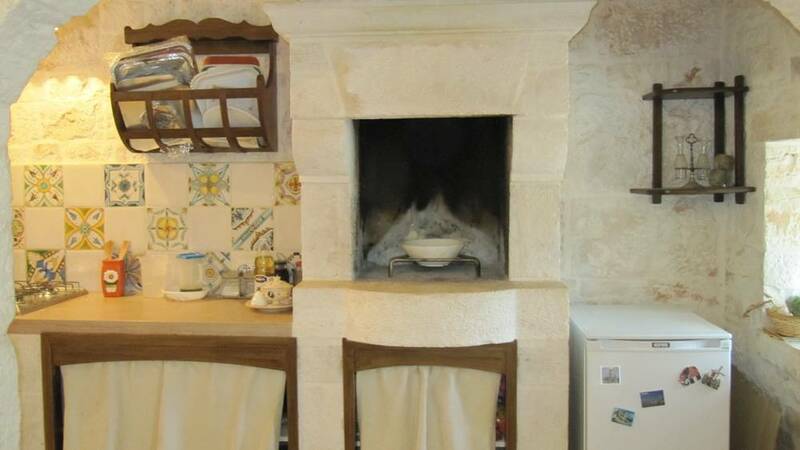 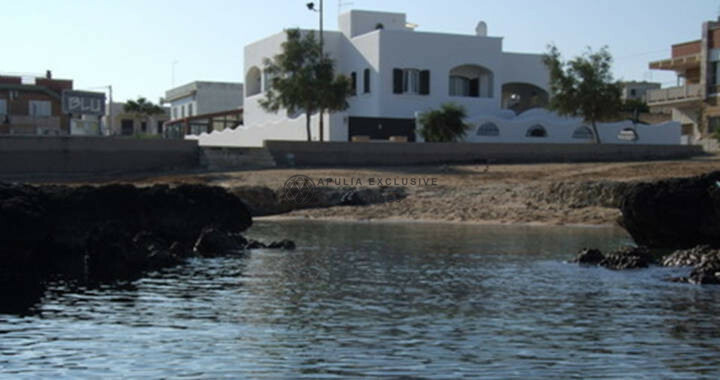 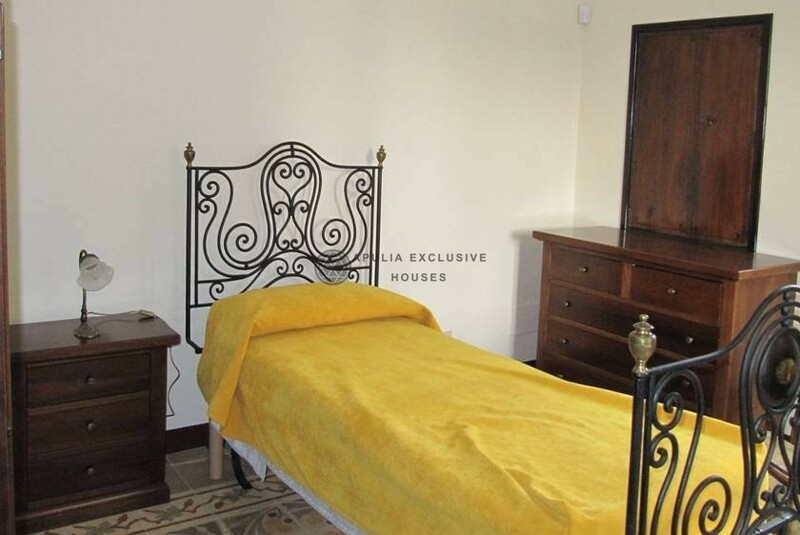 Next to the villa, there is a trullo of ‘ 700 to five cones, an entrance hall with fireplace, large kitchen-living room, two bedrooms and bathroom. 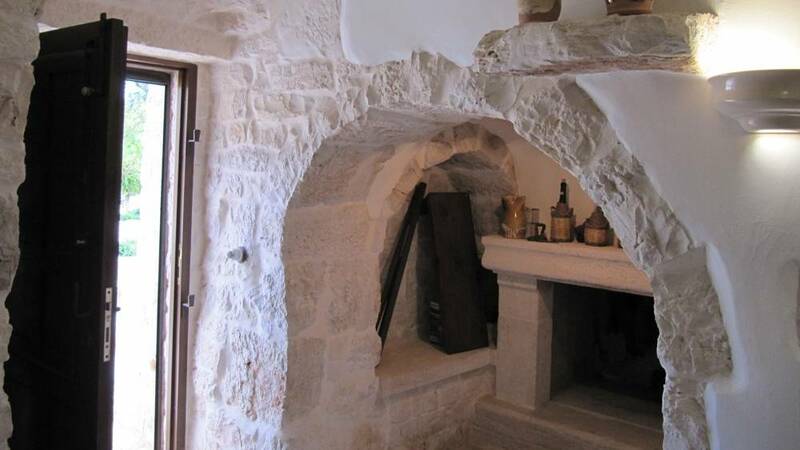 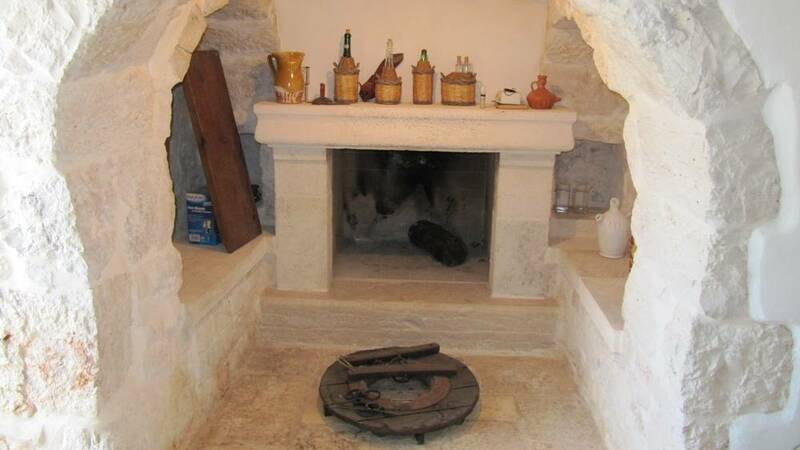 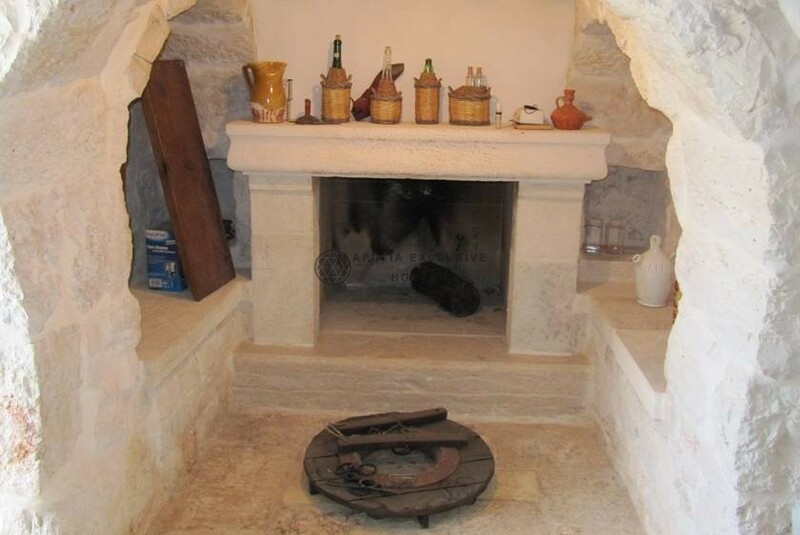 Also there is a lamia entirely made of stone, used for additional kitchen and pantry with adjacent wooden oven and barbecue, shed for shed/warehouse. 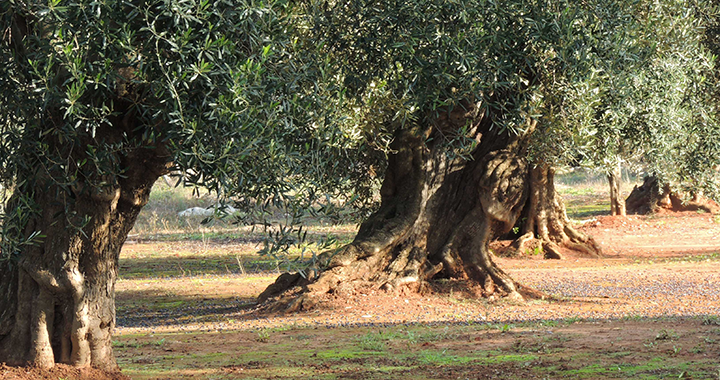 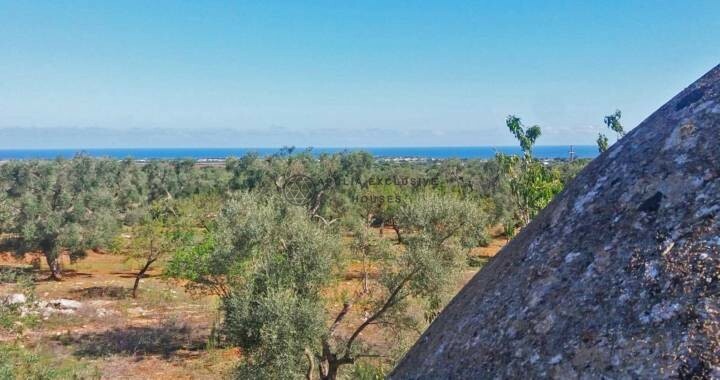 The land is about 24,000 square meters, out of which 150 secular olive trees and 40 fruit trees. 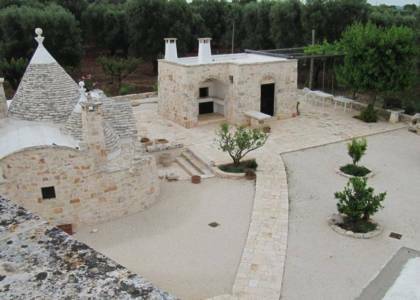 Driveway, parking area, courtyards, citrus trees and boundaries delimited by dry stone walls restored according to the techniques of stone of the Itria Valley. The whole property is unique in its kind, is ideal for business accommodation or the private residence of charm and prestige.